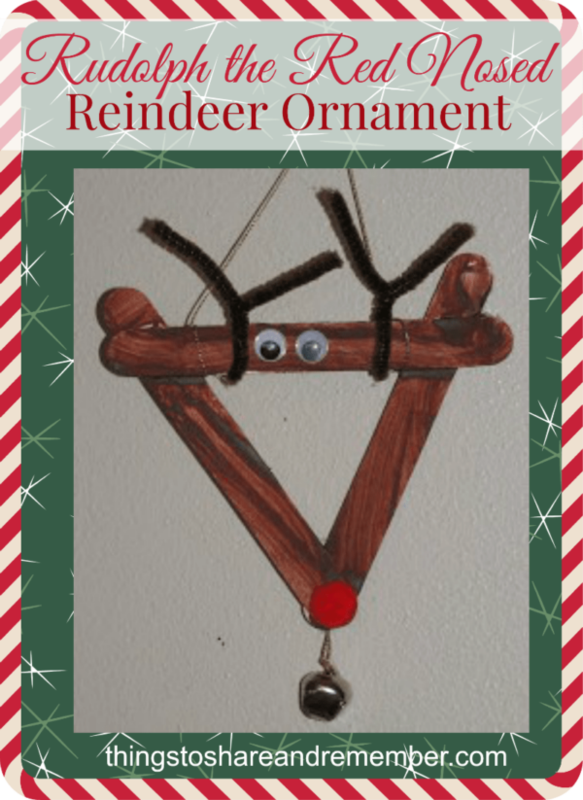 If you haven’t decorated your Christmas tree or home yet, or if you’re simply looking to spruce things up with some hand-made decorations that you can make with your child, then you’re going to love the topic of today’s article. Making outdoor Christmas decorations with your little ones will guarantee tons of fun and some quality time spent together. Plus, you can also encourage your children to help you install them in the end. Since there are many interesting and unique outdoor Christmas decorations that you could make, we selected 5 of the best ones for you. Making different figurines out of salt dough is one of the most entertaining activities you could think of doing with your child. It’s both crafty and easy to accomplish. You only need 3 ingredients: 1 cup of salt, 1 cup of flour, and half a cup of water. All you have to do is mix the ingredients together until they form a smooth dough that you can stretch as you wish. If you find the mix to be too sticky and not easily manageable, you can always add more flour. The great thing about this mix is that you can make anything out of it. 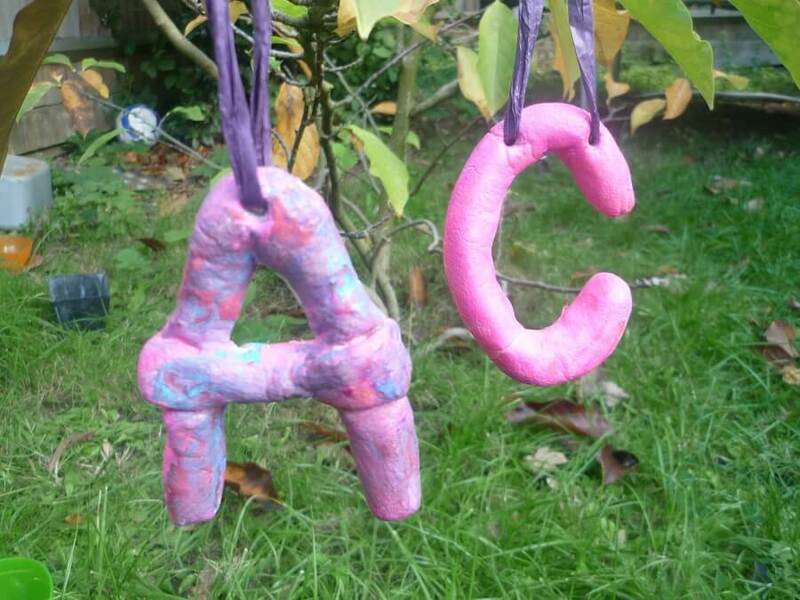 We decided to suggest initials because you can form any name or word that you wish. You can form your child’s name, or spell “Merry Christmas” and then hang the letters outside, either from a tree (if you have one in your backyard), or above the door frame. After you’ve designed the initials you want, you have to lay them on some baking paper and put them in the oven for 2 hours on a low heat setting. Depending on the thickness of the dough, you might have to turn them and bake them for another hour. The important thing to remember is that if you’re going to hang the initials, you won’t be able to make a hole in them after you’ve taken them out of the oven. So you should do that before you bake them. What’s awesome about this type of decoration is that you can really make it your own. For instance, paint the initials in your favorite colors, or stick glitter and other small decorations on top of them. Who wouldn’t love outdoor Christmas decorations made of candy cane? Since this is both the season of wreaths and that of candy canes, we thought we would combine the two and suggest a lovely Christmas decoration that your child can help you with. For this craft, you’re going to need a couple of ingredients. The first and most important one is the candy canes, which you should have 27 of. Then, you should also have 10 peppermint swirl candies, a bunch of small cinnamon candies, a roll of tape of 3 inches, a pencil, a craft knife, a piece of heavy cardboard, a hot-glue gun, some hot-glue sticks, and a ribbon to hang your wreath. The first thing you should do is place the roll of tape on top of the cardboard and trace two circles using the pencil, one on the inside and one on the outside of it. Then, you should cut out the larger circle and remove the inner circle using the craft knife. The next step is to arrange the candy canes around the circle so that their hooks overlap. Using the hot-glue gun, stick the straight ends of the candy canes to the ring and the hook of each candy to the top of the candy next to it. After the glue has cooled off, flip the wreath and add small beads of hot glue on the other side for some extra reinforcement. On the first side you’ve worked on, add peppermint swirl candies at the base of the candy canes. Now, it’s time to also decorate the edge of the wreath by sticking the cinnamon candies around it. The last step is to attach the ribbon by threading it through two candy cane hooks. Then, just place the wreath on the outside of your front door for people to admire. As all of the outdoor Christmas decorations we have prepared for you today, this one too can be adapted in many different ways. So if you’re feeling particularly inspired, you can always decide to include other decorations instead of the peppermint and cinnamon candies or even arrange the candy canes in a different way. The choice is completely up to you! If you don’t have that much time to spend on outdoor Christmas decorations DIYs, this option is definitely the right choice for you. Plus, some glitter covered pinecones will look really good hanging from the trees in your backyard. You can even hang them from other types of plants and shrubs. All you need for this DIY are some pinecones, glitter, glue, a paint brush, and small satin ribbons. The process is really easy and it doesn’t take that much time to complete. 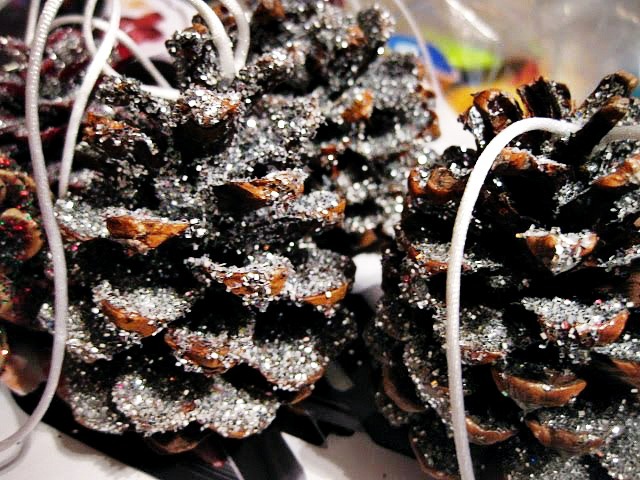 You just use the brush to cover the pinecones with glue and then sprinkle the glitter all over them. Then, you attach the ribbon with glue and press on it until the glue dries. This is a fun activity that you can do with your children. Just be mindful of the fact that glitter tends to stick to everything and it might make the process messy. 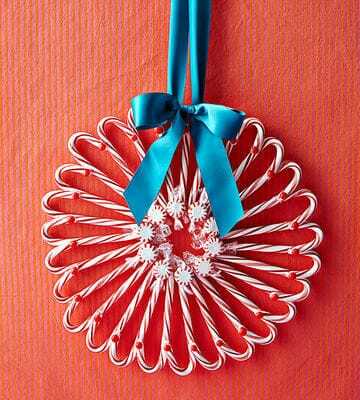 Another type of ornament that is fit for the outdoors, this one is made out of transparent popsicle sticks and white buttons. The idea is to make the ornaments look like snowflakes that you can later decorate your trees with. Especially if you live in an area where you don’t get a lot of snow, these lovely outdoor Christmas decorations will spruce up the look of your backyard or garden. What you need for this DIY are popsicle sticks, a bag of white buttons, a hot-glue gun, some white paint, and some school glue. The first thing you should do is glue the popsicle sticks together. For one snowflake, you’re going to need 4 of them. You’re going to place them on top of each other in an X shape. Then, by using the hot-glue gun, you will glue their center. Now, since you’re going to cover the popsicle sticks with white buttons, you don’t necessarily have to paint them white. However, for an entirely opaque look, we advise you to do that. Plus, this will make the entire activity even more entertaining for you and your children. 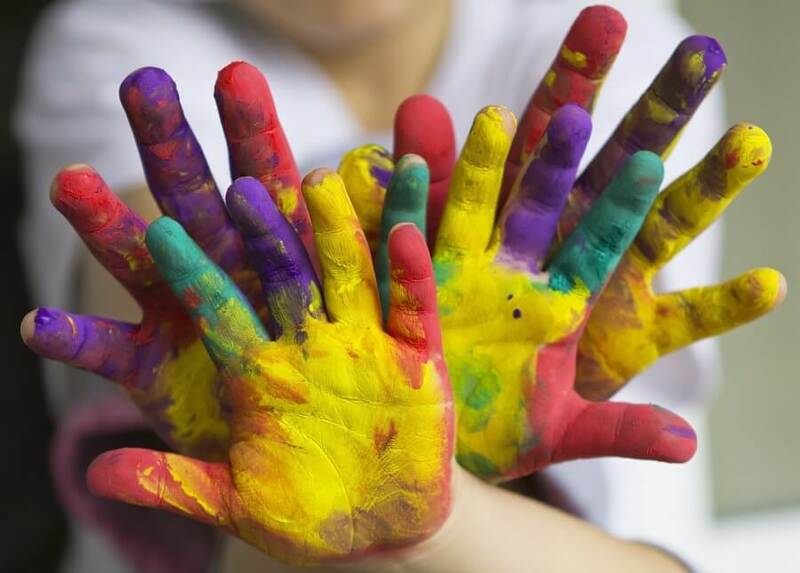 Just make sure that your children are old enough to handle paint. Moreover, try to do this in a place where no paint will fall on any of your valuable items. That being said, once the paint dries, you should attach the buttons. First, put one strip of glue on each of the sticks. Then, set the buttons on top of them in whichever order you see fit. Before hanging them, you should allow them to dry overnight. 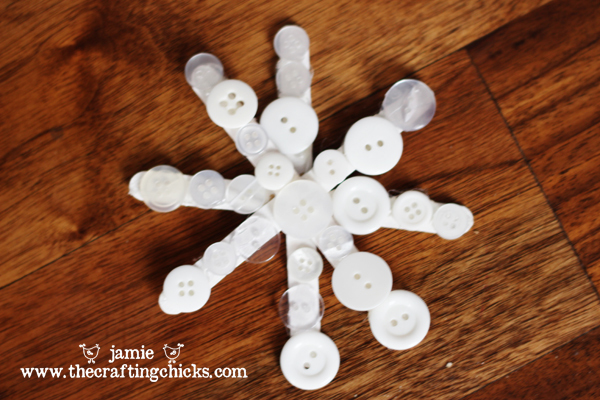 You don’t necessarily have to use white paint or even white buttons. So if you like colorful outdoor Christmas decorations more, then you should definitely make these snowflakes multicolored. Do you enjoy outdoor Christmas decorations in the shape of different Christmas characters? Then you should suggest your child make some Rudolph ornaments together. This will make for a really cute Christmas decoration. Plus, it’s one that doesn’t take that much time and effort to make. You’re going to need the following supplies: a couple of craft sticks, red pom poms, brown paint, a [brown pipe cleaner, googly eyes, glue, some jingle bells, and strings that you’re going to use to attach the bells and the ornaments in itself. First of all, paint the sticks brown. After they’ve dried, use the glue to stick them together in the shape of a triangle. Glue the googly eyes at the base of the triangle and cut a piece of pipe cleaner in two equal halves. Then, wrap the halves on each side of the googly eyes to form the antlers. One of the last steps involves sticking the pom poms to make Rudolph’s famous red nose. You can also tie a small jingle bell at the bottom. In the end, use the same type of string you used for the bells and make a hanger. We hope these outdoor Christmas yard decorations have inspired you to spend some quality time with your children while being crafty and also saving money. Instead of looking for outdoor Christmas decorations for sale this year, try to be creative. Involve your children in the process of making the decorations yourselves. Not only will they have fun, but they’ll also get to say that this year’s outdoor Christmas decorations were their creation.